The water proof F&D W5 bluetooth travel speaker comes with a bottom radiator design for "springy bass" and has a LED indicator for controls. 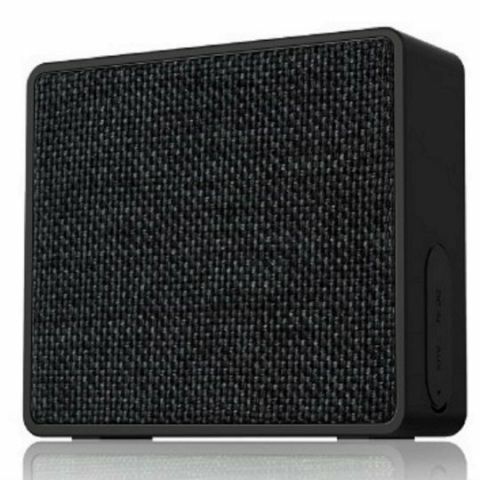 F&D has launched W5 bluetooth travel speaker for Rs 1490 in India. The water proof speaker comes with a bottom radiator design for "springy bass" and has a LED indicator for controls. It is available in Black and Green colours at leading retail and e-commerce stores in India. F&D one of the leading & oldest Audio Brand, launched its newest Portable Speaker ‘W5’ exclusive to the Travel junkies. The perfect blend of good looks and good sound to venture out from the garden to the sunshine beach! Bold sound for wherever life takes you from the pool to the park to the patio, F&D W5 water-proof speaker is your go-to companion for life's great adventures. Its rugged design with its soft-touch silicone exterior makes it easy to pick up and go. Packing the enough Oomph, the 3watts RMS output in very compact size, brings alive an audio experience that comes blooming with depth and immersion, making you appreciate the aural wonders of technology. The 1.5inch full range driver packs a punch of true bass like no other, delivering a rhythmic response to even the most demanding tracks. So, turn up the volume, plug in and tune out in style. The speaker runs on built-in rechargeable 600mAh battery for up to 6 hours of music & 6 hours of continuous playback. The silicon buttons on the speaker brings easy tap controls for your music. Constructed with multiple connectivity options like USB/MicroSD/AUX the speaker makes listening to music easier with the 15-meter range for wireless connectivity. Available in shades of Black and Green the speaker is already available with Leading retail and E-commerce stores in India.